Review 2016: How do reindeer fly? 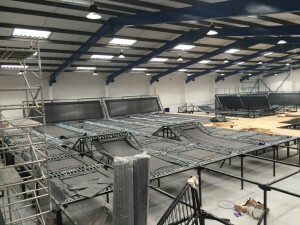 Jump Factory – First Look!!!! 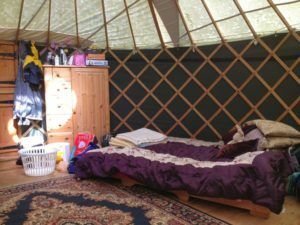 I’ve blogged about Our Yurt before on NorthHantsMum but I thought it was time I did a Review about it. Although I’m only publishing this review because Polly, who runs the place, has agreed that we can have “our” Yurt for every May half term for the next 10 years :-D.
We have been visiting Cornish Yurts for the past 4 years. I always said I wouldn’t be one of those people who went back to the same place every year, but when you find your little piece of heaven, it’s hard not to keep going back! The sense of excitement of our impending Yurt holiday starts about three weeks before in our house. I’m excited about relaxing, Mr NHM is excited about cooking over an open fire and Miss NHM is excited about the beaches! It takes about 5 hours to drive from Basingstoke to Cornwall and we always try to go early to avoid the traffic. We used to stop at Exeter Services on the way down but we’ve found a new place to stop now which is almost half way. When you arrive at the Yurt you can drive your car up to unload but then the rest of the holiday your car needs to remain in the car park. You also get a lovely welcome from the farm dogs. Sprocket is definitely our favourite. When you arrive you get a “welcome pack” which includes local scones (normally still warm!! ), Cornish fairings, a pot of locally made jam, the local paper (perfect for making fires with! Lol) and a pot of Cornish cream in your fridge. There are two yurts in an acre of land. The kitchen hut is a shared space with the other yurt but each yurt has its own fridge. 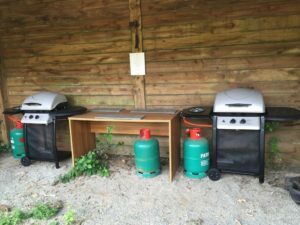 There is also a washing machine, kettle, toaster and every piece of kitchen equipment you would need whilst camping including a sieve and two huge hugs that would be great for squash or cocktails. There are platters in the kitchens so you can prepare your food in the kitchen and easily carry it back to the yurt. Each yurt also has it’s own private bathroom with sink, toilet and shower. 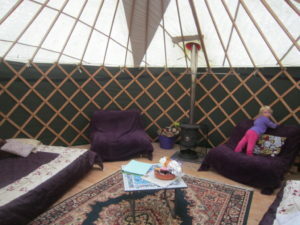 The yurts are on a working dairy farm and if you are very lucky one of Polly’s girls will give you a tour of the farm. We STILL haven’t had one BUT Miss NHM (5 years old) did get to go out hay bailing with AJ, the farmer, and is still going on and on about it. If you ask her what she wants to be when she gets older, she says “be a farmer on the cornwall farm”!! Each yurt sleeps six people and has two double sofa beds and two single sofa beds. The Yurts have a wooden floor throughout and a wooden porch. There is a covered porch at the entrance where we store wood. Each yurt also comes with its own wood. There is extra cost for this and Polly requests that you don’t waste the wood by leaving the fire going indoors or outside unnecessarily. 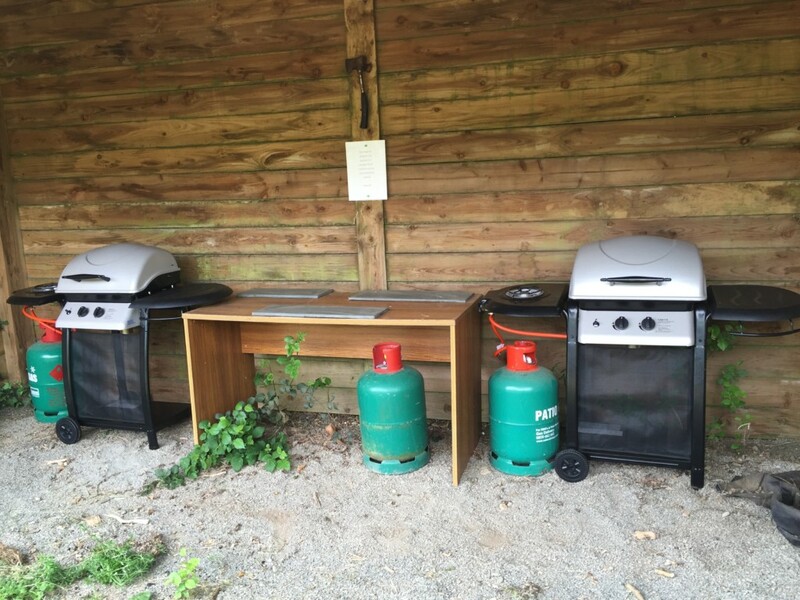 There is also an outdoor cooking area and each yurt has its own BBQ. There is an outside chess set, swing ball, a set of swings and a fairy table. Love that there is a washing machine in the kitchen hut. Love that if it rains it makes absolutely no difference as you are still camping but there’s no risk of everything getting wet. Love having private shower and toilet, so we can leave our stuff there. Love that there’s only two yurts and so much space that Miss NHM becomes feral!!! 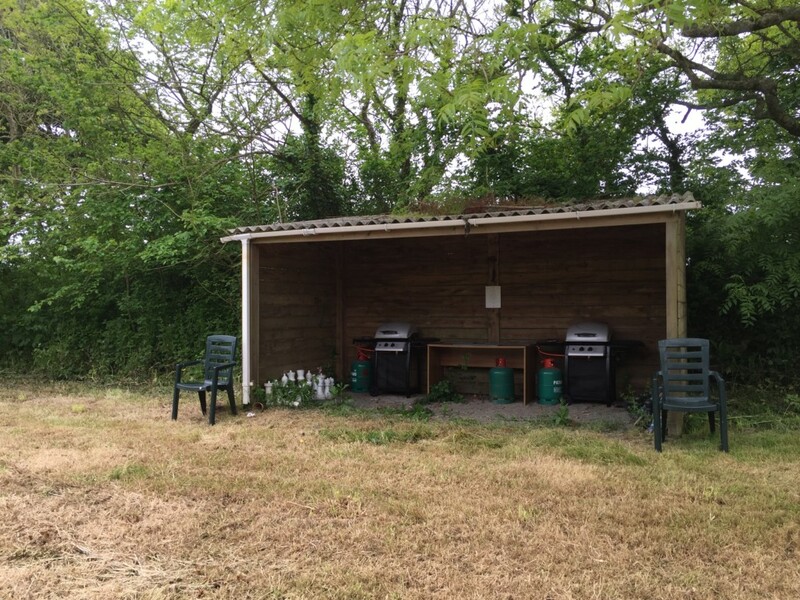 We use “Derek” Mr NHM’s Dutch Oven, my small slow cooker and occasionally the BBQ on site. Games set with lots of different types of games like chess and backgammon in each yurt. There is also a large chest of drawers for storing items with a couple of rugs in, just in case it gets cold, a small table and a large rug on the floor so you don’t get cold feet. Each yurt has electric and our yurt has a lamp in it. Each yurt has its own rotary line. Very amenable to babies however you do need to be careful with toddlers near the fire. We took Miss NHM for the first time when she was 2.5 years old and it was fine because she learnt pretty quickly that the fire was hot and she needed to stay away from it. You also need someone who can build a fire to be there, otherwise it will get cold pretty quickly in the evening times. Rosskillys. Fantastic ice cream and grounds you can visit for free. They also have farm animals you can buy food for. The pigs are very vocal!! Also do wood fire pizzas on Wed evening. Poldhu beach – a short drive from the yurts. On Friday night they do wood fire pizza’s from 5pm to 7.30pm. Kynance cove – check the tides though as we had to wait for the tide to go out for two hours last year. Had a fab time playing on the rocks though. Also, not a great place for pushchairs as it’s a 15 minute walk if you don’t walk down the cliff face and then you have to carry your pushchair over some of the rocks. People do it though! Kennack sands – this can become filled with chav’s as its very close to a caravan site. We always ask Polly for her recommendations on places to go. She’s a font of local knowledge. When you first arrive you can drive up to the yurt to unload but your car must remain in the car park until it’s time to pack up. We absolutely LOVE staying here. It’s all the little details that make it so awesome, from the moment we arrive and Sprocket comes to greet us at the door and then Polly comes out to give us massive hugs. It really is our home from home! Although, this time we didn’t get any scones because Polly was off to china for her birthday, and knew that it was “us” and we wouldn’t mind. I did mind as I was looking forward to those scones for weeks before!! Sorry Polly, I lied!!! lol. You may think I’m crazy for sharing this with you, as there’s a risk it might become so busy that we can’t get in, but don’t worry, I’ve done a deal with Polly that we can always have “our” yurt during May half term. Whoop!!!! 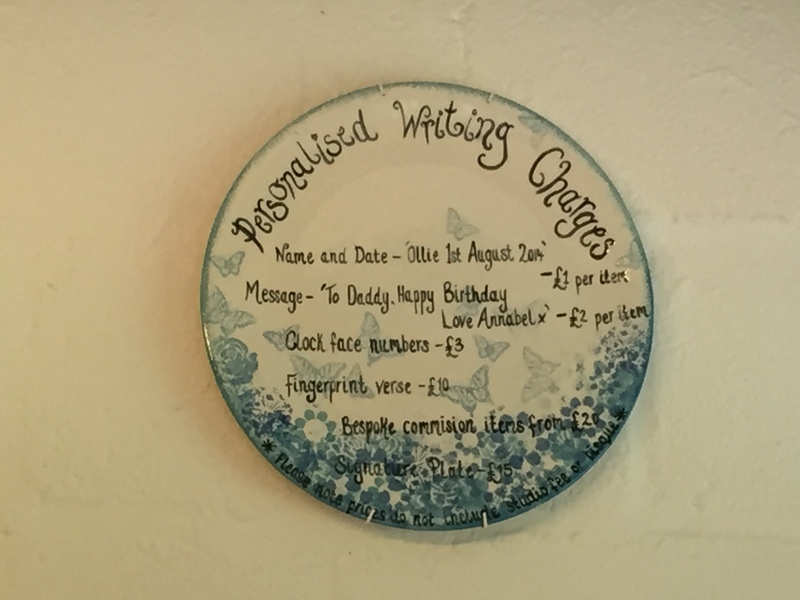 If you do decide to book, make sure you tell Polly that you are booking via NorthHantsMum. Hope you have an awesome time as much as we do!!! 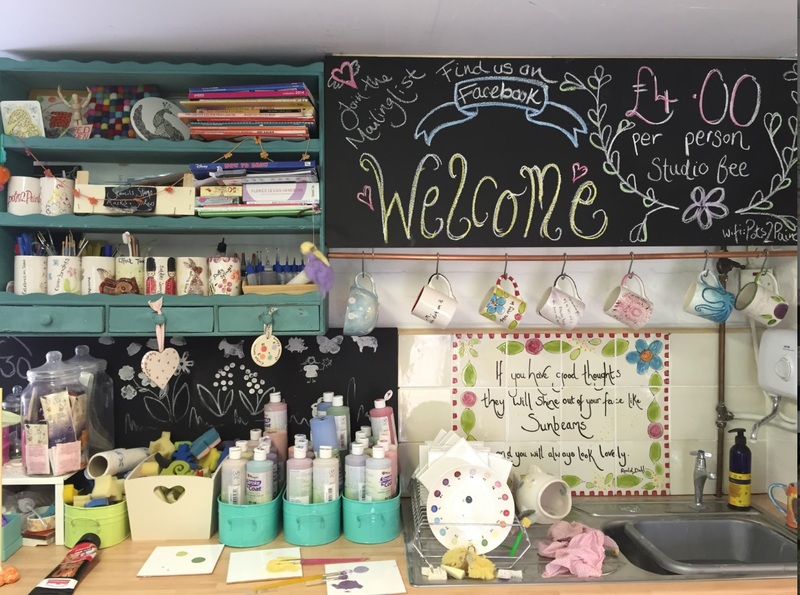 Situated in beautiful parkland of Worting House, Basingstoke, I was met by Natasha the owner of the company and an Accredited Trainer for the Craft Academy. Natasha was very friendly, welcoming and reassured me about the whole process (which took about an hour) and explained what she was doing and why. 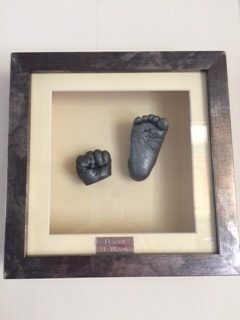 The experience was enjoyable and only a few hours after my appointment I was notified that the casts had come out well and just needed to dry off, which would take about 2 weeks but ready in time for Fathers Day. 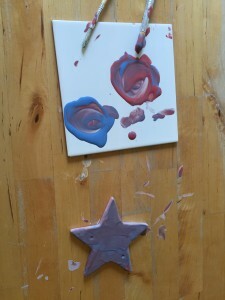 As promised the casts were dry and painted in time for Fathers Day. My partner was very pleased with his gift. 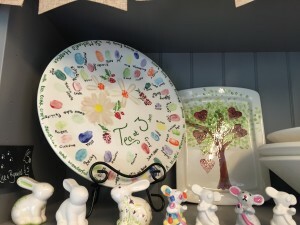 I would definitely recommend this service if you are thinking of a lifetime keepsake or a special gift for a loved one. Training classes run Wed, Thurs and Fri please ask for details. Thank you very much to Helen, one of the NHM Writers, for today’s Review of a new weekend class which will be starting very soon!! My three year old son and I spent a very fun hour this morning at the Dinky Disco preview. 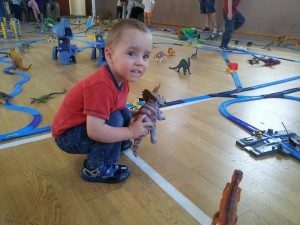 Dinky Disco is a new group for children aged 5 years and under held at Bramley Village Hall on Sundays beginning 24th July 2016. 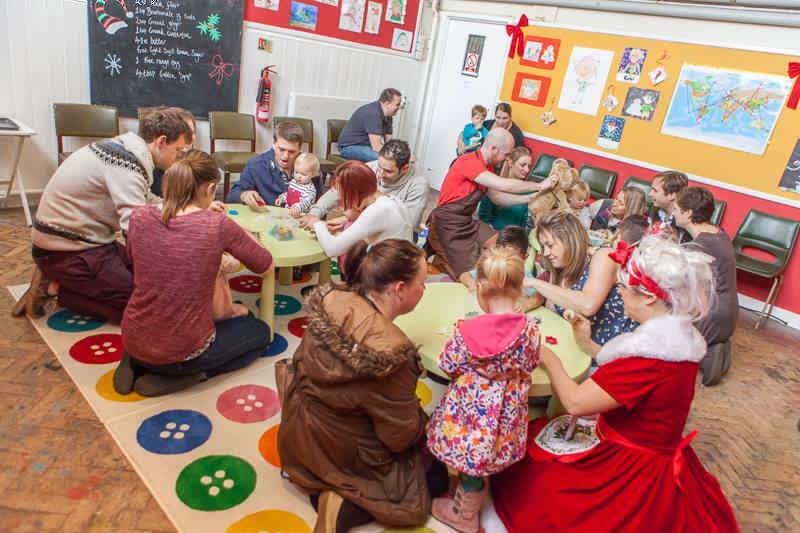 Dinky Disco is ran by the lovely, bubbly and smiley Nikki who made all of the children feel welcome. Nikki used a microphone to introduce each song, some of which came with bonus props for the party goers to dance with; there were balloons, maracas, bubbles, pom poms, scarfs and bouncy balls. So much fun! Music-wise, there was a mixture of party tunes (think YMCA), pop (a bit of Justin Bieber) and children’s songs (row, row, row your boat…etc.). Interestingly, the children didn’t really seem to know the party tunes – how has my child reached the age of 3 without knowing the YMCA? I must put that right. We did lots of dancing and my son had a fantastic time chasing the bubbles and running around with a smile on his face. There was quite a range of ages there and, whilst the older ones (say 3+) perhaps got the idea more than the younger ones, I’m pretty sure the little ones, some of whom were still crawling, had a good time enjoying all the lights, music and props. Next time I will definitely take my 9 month old as well. My son asked beforehand whether there would be boys and girls there and I’m pleased to say there was a good mixture and it didn’t feel geared toward boys or girls specifically. It was a really fun way to spend an hour of our Sunday morning. On the way home I asked him what the best bit was. He said ‘the DANCING!’ :-D.
This is strictly a stay and play group and ideally a parent-participation class, whilst you could sit and watch I think the parents joining in were having a lot more fun! Note that this isn’t a dance class, how and when you want to dance is up to you – anything goes. Nikki provides the disco lights, music, atmosphere and props, not instruction on how to dance! My son and I had great time and he worked up a bit of a sweat. The group was an hour and he definitely needed a drink and snack by the end. There isn’t anything available so take something along with you. A number of people had small babies with them to accompany an older child and this seemed to work out fine; the music wasn’t too loud. There are balloons and one or two did pop during the group so something to keep in mind if your child doesn’t like balloons popping! Sessions can be booked individually (no need to sign up for a whole term etc.) but must be booked in advance, up to 1 hour before the class. Bramley Village Hall is great. There are toilets and baby change facilities. The room is relatively small so not ideal for buggies but you could get one in if you needed to. Car parking is free and convenient at the Village Hall. £2.75 per person (parents and children pay). Miss NHM, Mr NHM and I went to a Track Party a few years ago that Richard and the team were running in the Popley Spotlight centre. I’m not sure who enjoyed it more though, Miss NHM or Mr NHM ;-). Mr NHM did find out that it takes Richard and his team four HOURS to set up and then the same to put away at the end of the day! That’s dedication for you! Thank you very much to the “NHM Secret Reviewers”, Karen, who did a great job on today’s review of Track Party! 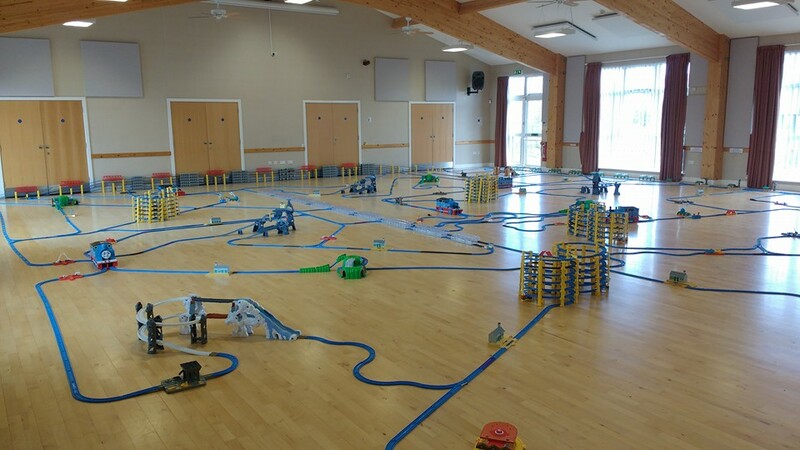 Small J, Mr J and I were very excited to attend our first track party at Old Basing Village Hall. We arrived to a lot of excited children (and Dad’s) eagerly waiting to get playing. 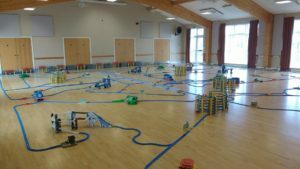 The hall was full of train tracks and a huge array of Thomas and his friends waiting to play. 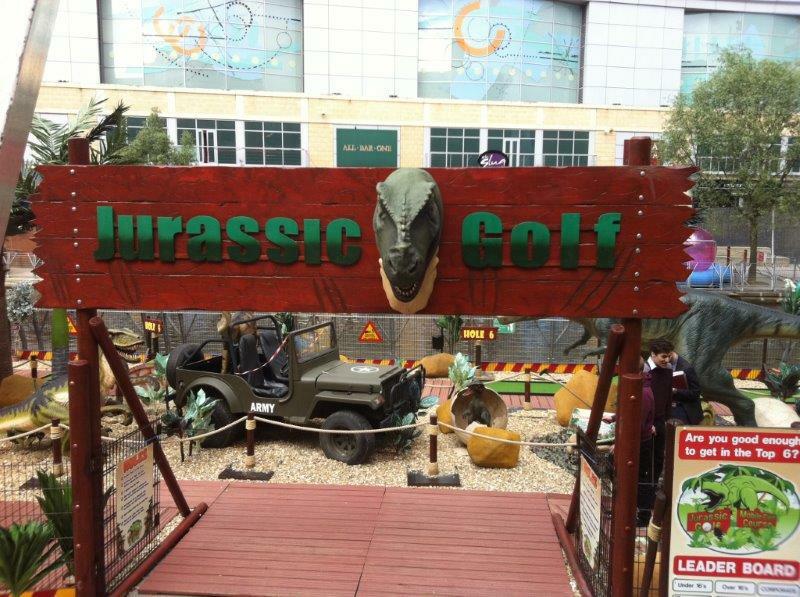 Later in the day cars and dinosaurs were added to the fun. Richard and his team were on hand all the time replacing batteries in tired trains and lending a hand. Also available on the day was face painting by Carin Shepherd (find her on facebook). There was lots of colourful creatures running about, the perfect way to entertain siblings who were not so keen on the trains. Lisa Healey was displaying her lovely collection of Usbourne books and I enjoyed a browse whilst the boys were playing with the trains. Get there on time. Sessions start and finish promptly to allow the team to reset everything in between. Bring some extra money for the face painting and books. Track parties run all over the country, the next ones in this area are Reading July 9th, Wickham Sep 10th and Basingstoke Sep 24th. You can also book the trains for a private party, for more details see their website. At all track party events hot and cold drinks and snacks are available. 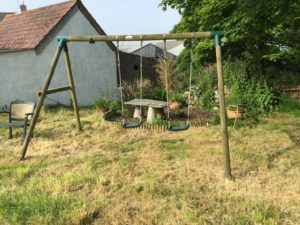 There were plenty of places to sit and watch the children have fun and good facilities for looking after your little ones. There was plenty of parking available and a nearby park for afterwards. Tickets for a track party are from £6 per child, face painting £3 per child. You can book online at http://trackparty.co.uk or find them on facebook. 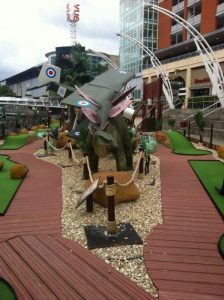 We thoroughly enjoyed the day and are planning to rebook for the next time they are in Basingstoke. Small J (and the grownups) gave our experience 5/5. 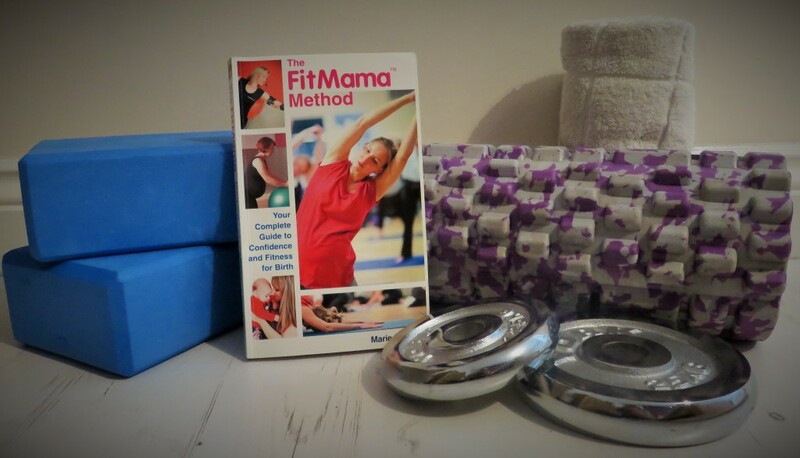 Emma sent me a lovely message asking if she could publish her FitMama book review on NorthHantsMum. I hear great things about FitMama. I know of lots of local Mum’s who have read the book and done the course (based in Basingstoke!) and they rave about FitMama! With hindsight I wish I’d signed up! I recently decided that after 2 years since giving birth, I should actually get my body checked to see how it had recovered. This led me to book an appointment with Marie Behenna aka ‘The Fitmama’. I wrote about some of my experience of this in my blog Getting my body back to it’s best. 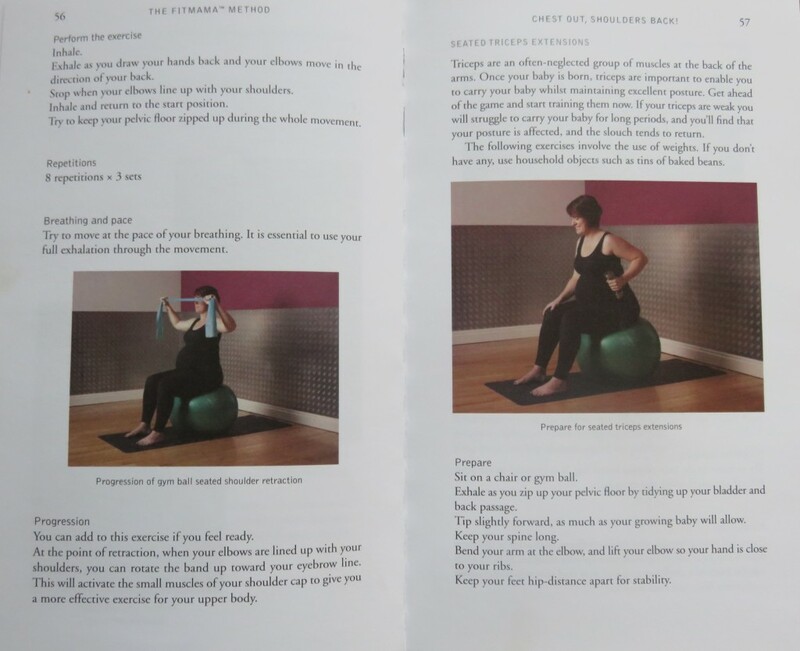 The book opens with a testimony from an Obstetrician and Gynaecologist who had first hand experience of using the Fitmama™ Method six weeks after giving birth. This is somebody who knows from her own work what effect pregnancy and birth can have on your body, yet she still needed to seek further help and advice from Marie. ‘Not only did Marie’s postnatal pelvic floor repair class encourage me to get back safely into pre-pregnancy shape, it also provided me with social interaction with women in similar circumstances’. Marie explains so heart warmingly why she is so passionate about her work and pregnant women. I got the real sense of her being somebody you could trust and that her book was going to be full of genuine, backed up advice and not just a new ‘fad’. ‘I witness the miracle of developing life on a daily basis. My life with these women was not an accident! It was born of a desire to give women what I wanted during my pregnancies: knowledge, choice, confidence and fitness for child birth’. She is an advocate for exercising during pregnancy; it is now known that it is beneficial to both Mum and baby. It strengthens the body during a strenous time and can aid in a better labour and birth. However, she also believes in listening to your body’s needs so if it is telling you to rest, you must do just that. It isn’t about being an athlete, but about remaining fit and healthy. The book includes great colour photo’s throughout which demonstrate how to correctly carry out exercises, moves, stretches and to get your body positions right. All exercises have been used by Marie for over 10 years and are all suitable to carried out during the whole of the pregnancy. She focuses on keeping the pelvic floor strong, allowing better breathing for Mum’s when the baby becomes larger and also provides techniques for during labour. Good nutrition is vital during and after pregnancy. Did you know that your diet can have a lot to do with the development of stretch marks?! Marie has included an eating plan for during pregnancy and then there are healthy recipes at the back of the book which have been provided by Barbara Bradbury, a naturopathic nutritional therapist. The book also includes quotes from women who have used the Fitmama™ Method and who have attended classes by Marie. They offer first hand advice and tips which gives the book a more personal feel. Not only does Marie provide advice for the Mum’s to be but she also offers it up for the birthing partners and emphasises how important it is to be there for the woman during her labour; plus to say the right things!! haha. I love that tips include to pack snacks for the partner as they are so often overlooked during the hospital stay, it just goes to show how she really does think of everybody. The relaxation techniques were so in depth and soothing that I even felt myself drifting off as I was reading them! 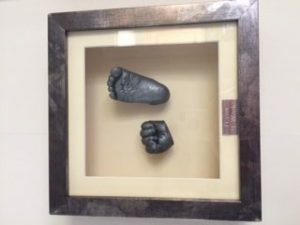 I could have most definitely done with these during my labour, my stress and worry was a little too high- maybe with techniques such as these I may have had a smoother delivery? As the book comes to an end I absolutely love the fact that she stands by the opinion that baby comes first and that they need you so much more than your skinny jeans do! So many women think they need to bounce straight back into shape after having a baby and they need to somehow ‘impress’ others. It is important to remain fit and healthy but after having a baby your body needs to heal, rest and recover. Her whole outlook is about doing what is best throughout pregnancy and post-partum, it is not about looking your best. I am most definitely going to re-read this book during my next pregnancy and use all her tips and advice to try and have a more comfortable pregnancy and, fingers crossed, a natural birth. If you need help, take it, don’t be a martyr! And most of all, accept the many moments labour presents you with: this is progress to the greatest achievement of your life. You can find out much more about Marie’s methods on her website. Don’t miss out on future posts like this – you can receive updates directly to your inbox by email by adding your email address to the box on the top right of this page and hitting subscribe. You can also follow NorthHantsMum on Twitter,Google+,Facebook Page, Facebook Profile, LinkedIn and Feedly. I hope to see you there! 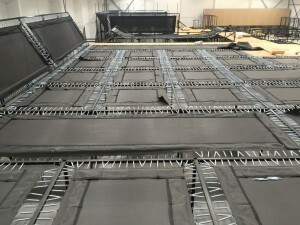 I was very, very, VERY lucky to be invited to be one of the first people to see Jump Factory before it opens to the public!! 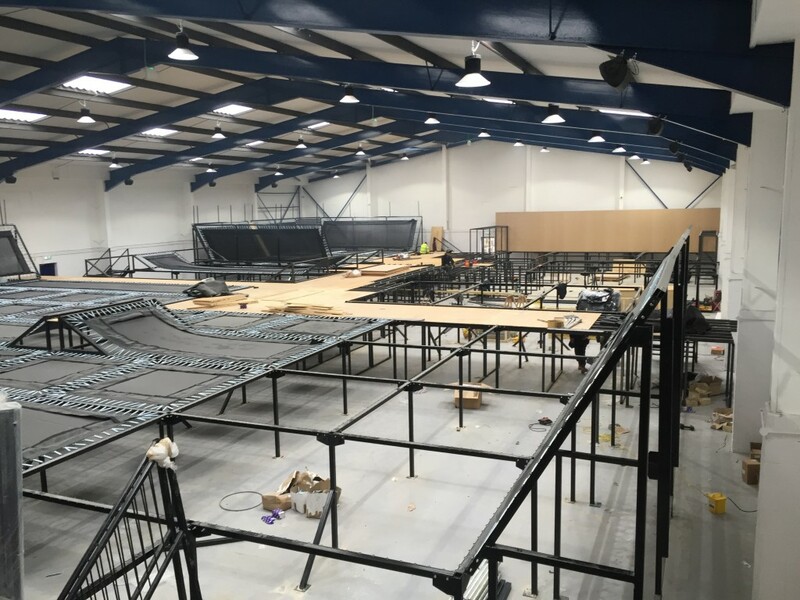 Jump Factory is opening on 29th February 2016 and will be the first indoor trampoline park in Basingstoke. 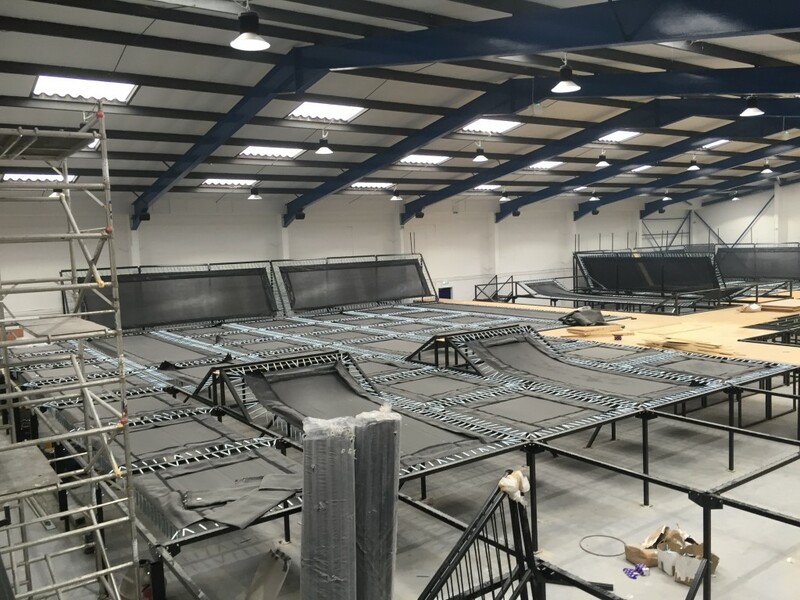 There will be 60 trampoline spaces within the trampoline park and the site can accommodate up to 100 people an hour. 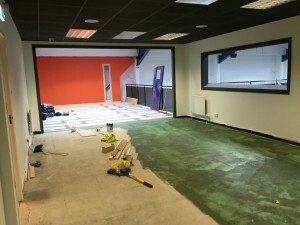 As you can see from the pictures, the site is very much a “work in progress” but these pictures give you an idea of what to expect. and you can find more details about each of these at the website listed at the bottom of this post. 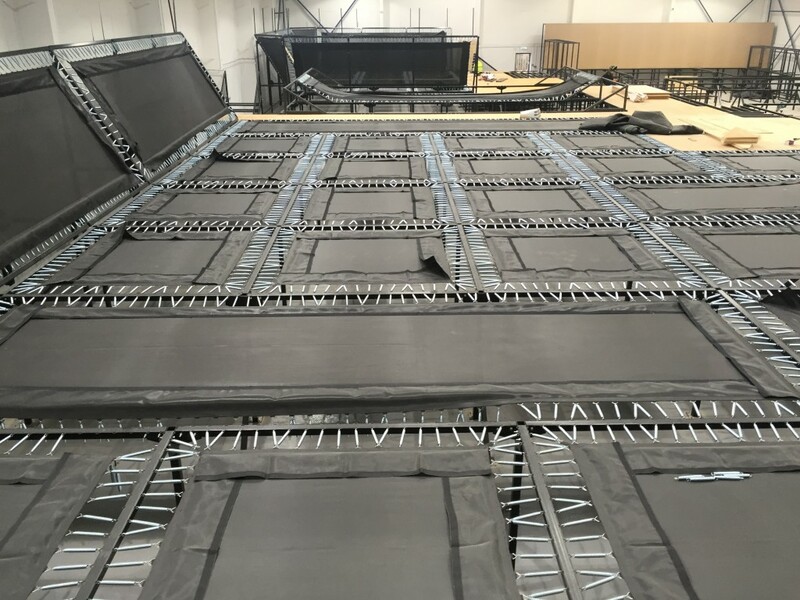 You can just see in the pictures that there will be a large walking area all the way around and there will also be seating available next to the trampolines for parents of children aged six and under. Downstairs the reception area is nice and airy and there are two safety briefing areas which will have TV’s advising you of things to pay attention too. Obviously safety is paramount to the team so I was really pleased to see that they have dedicated so much space to this. 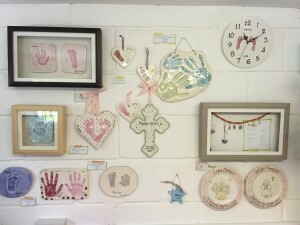 The Cafe is upstairs and is a gallery style, so you can have a coffee whilst keeping an eye on your children. It’s a really large area and will have 60 seating places. Several of these seats will be soft seating, so you can relax whilst having your cuppa! It will be possible to use the site for the cafe facilities, even if you aren’t jumping. This is just one half of the cafe. 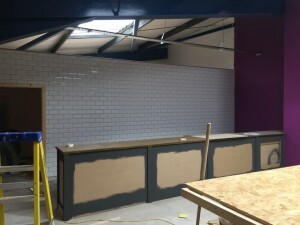 The team were very keen to say that they are investing a lot of money into the Cafe, including having a proper barrista coffee machine and are using local suppliers for cakes, pastries and sandwiches. 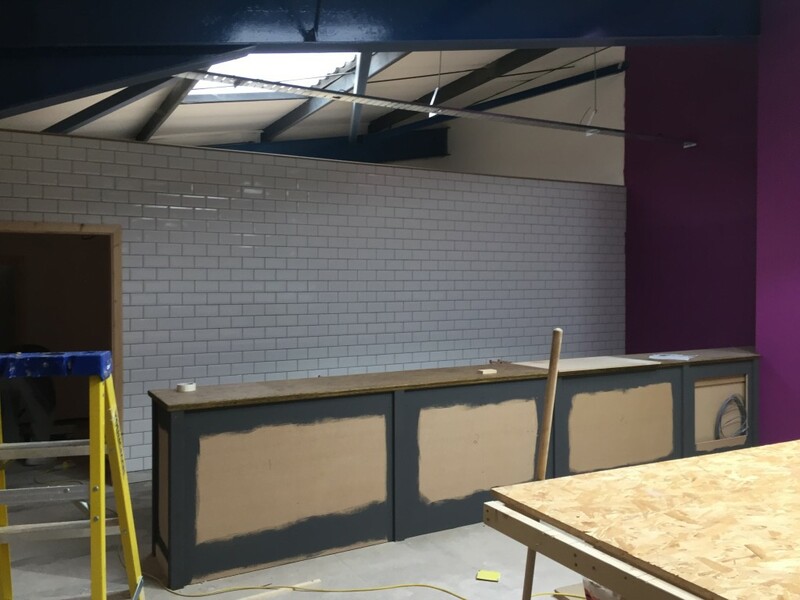 Hot food will be available once the site is open and will include soup and pastries. The trampoline park will be open for children aged 5 and upwards but 5-6 year olds will need to be supervised by their parents. Babies will not be allowed on the trampolines, for obvious reasons, and parents will not be allowed on the trampolines if they are carrying their babies in slings. This is for health and safety reasons. There will also be a Tots session for the “walking under 5’s” which will be on every week day between 10am and 11am. The team are also looking at doing inter company Dodgeball tournaments, so if you are interested in getting your company involved, drop the team at Jump Factory a message. Fitness classes will also be available, but more details will be provided near the launch date. There are two party rooms upstairs, one which is orange and one which is green. Party Packages are available and you can find more details about these at the Jump Factory website (below). Downstairs there will be a locker area with 100 lockers and a “cubby hole” area for you to leave your shoes. There is also a First Aid room available if needed. The baby changing facilities will be available in the Disabled toilets which will be downstairs. There will also be highchairs available in the cafe area. There is LOADS of parking and it’s all free. 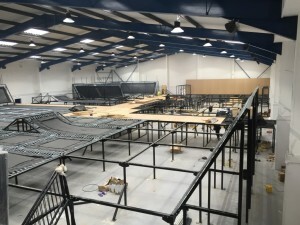 They have over 60 parking spaces in the Jump Factory car park and lots of off road parking, especially on the weekend as it’s quiet in the area that the site is located in. Although Jump Factory opens on the 29th February, booking is available NOW via the website below! It looks AWESOME and I can’t wait to get jumping!!! I first met Stef, who runs Pots2Paint, when Miss NHM was about 6 weeks old. It was coming up to Father’s Day and I wanted to get Mr NHM something special as it was his first Father’s Day. I chose a mug and Stef very delicately took handprints and footprints from a tiny Miss NHM. Mr NHM was overwhelmed when he got his mug and it remains in pride of place on display. Since that first time of visiting Pots2Paint I think we’ve been back every year since! 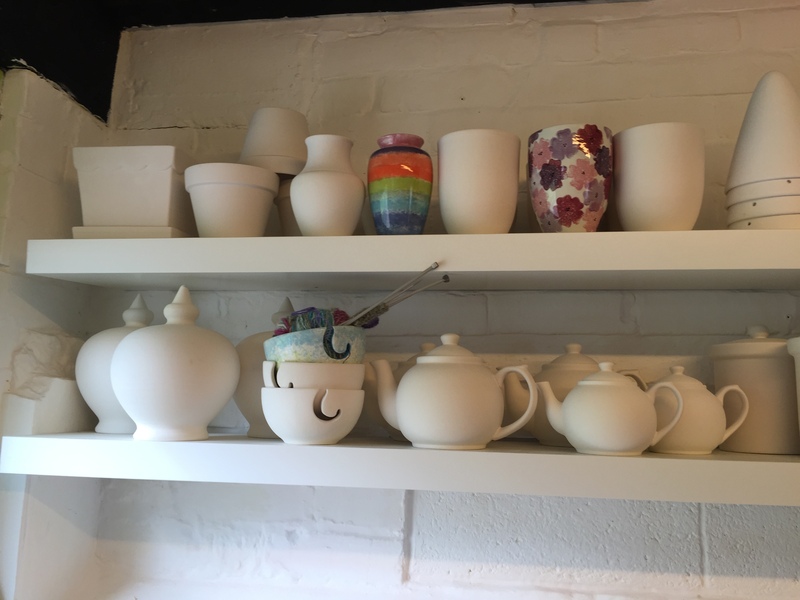 We’ve decorated a special 60th birthday tea pot for Gran, Christmas decorations for our close friends with Miss NHM’s handprints, more gifts for treasured friends and this time we visited to make gifts for Miss NHM’s nursery ladies. We’ve even been to a birthday party for one of Miss NHM’s peers at Pots2Paint and it was absolutely brilliant!! Stef and her team are always incredibly welcoming and have the BEST creative ideas that are always inspirational. I emailed Stef to ask to book in about a week before we wanted a slot. Stef came back to me very quickly and confirmed the time. We turned up on the day and as we were the first ones in we could choose whichever table we wanted to sit at. 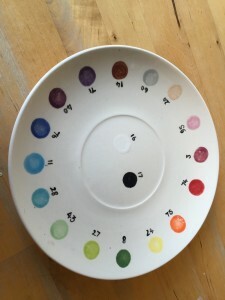 You pay a studio fee for each person who is painting, to cover the costs of the paint, which is reasonable given the overhead costs of running the studio. The colour scheme and paints you can choose. Miss NHM was very sure about the colours she wanted to use so Stef showed her how to paint them and helped her with her colours. I chose which products we were going to paint. There are literally 100’s, a lot more choice than there used to be. 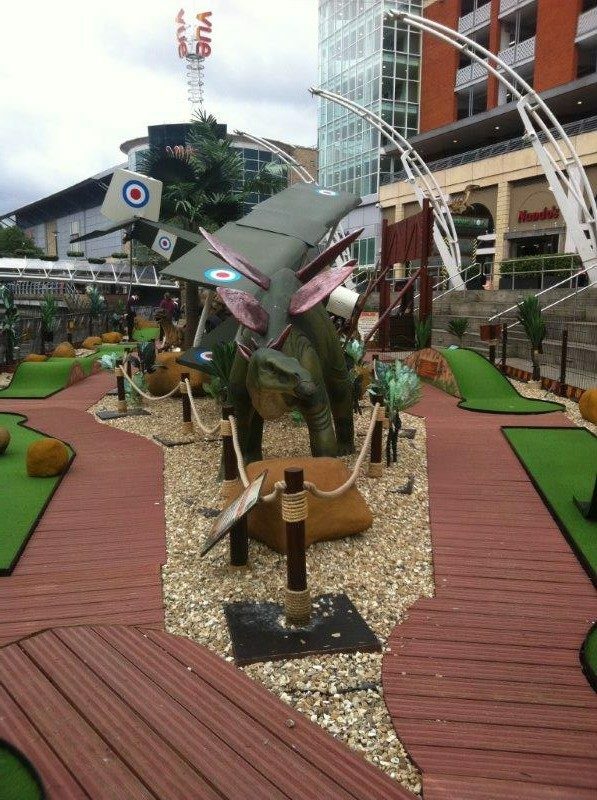 I have my eye on the gnome already :-D.
Miss NHM’s creation. She was very determined about which colours she was using! Miss NHM then decorated all of the gifts for her nursery ladies. Once she had finished Stef asked her to wash her hands and we handed over our goods. Stef then advised that the finished products would be available five days later. Completed orders ready to be picked up! I’m so pleased with the final pieces and hope that Miss NHM’s nursery ladies are too! Book early if you want to make gifts for Christmas. 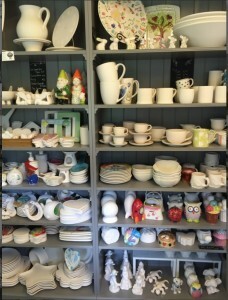 The studio gets very busy in the run up to Christmas so it’s best to book in sooner rather than later. 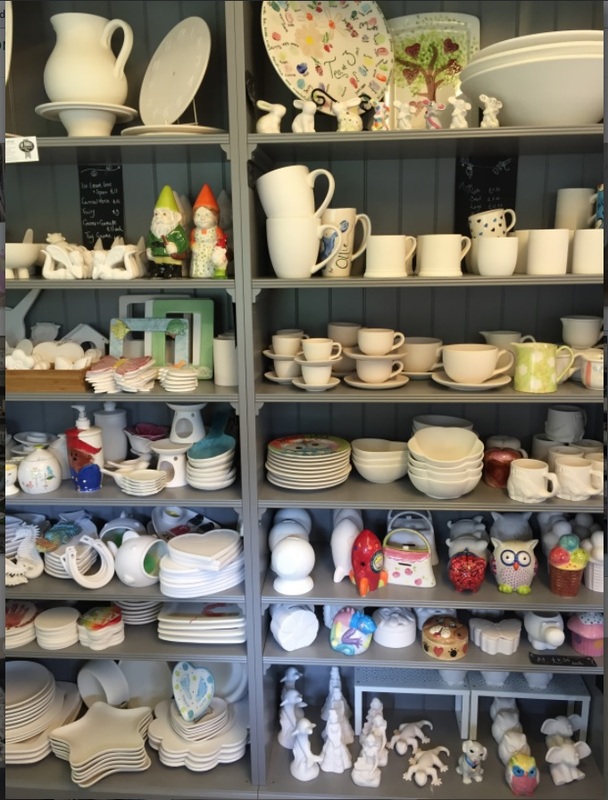 If it’s not easy to get to the studio, I have seen via Dear Mummy, that Pots2Paint also offer a Hamper Service which you can book in advance. 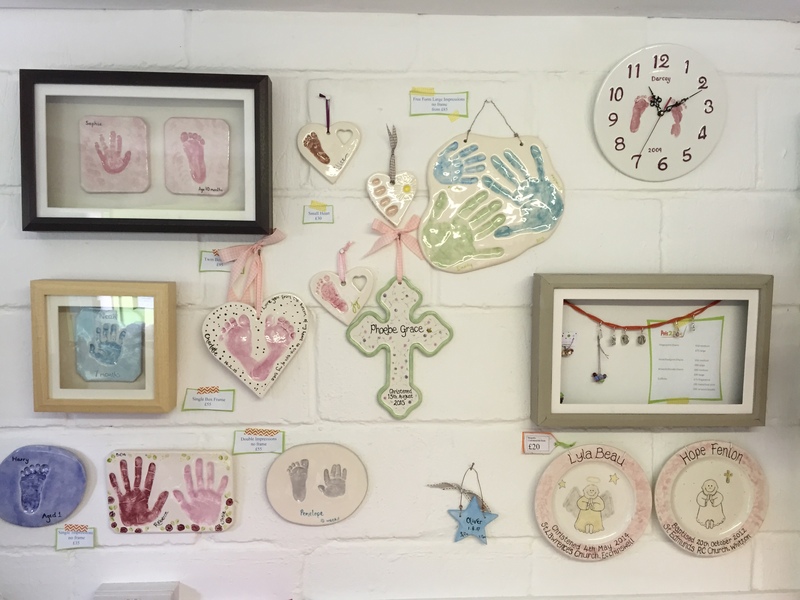 Although Pots2Paint is small unit of two rooms, it’s part of the Viables Craft centre community, so you can still use the toilets and baby changing facilities. There is a code to get into them though, so you may need to ask Stef for the code. Are available, but as I’ve mentioned above, you may need the code to get in. 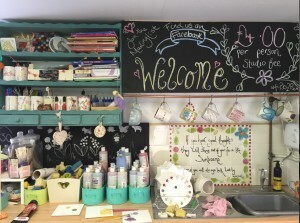 Pots2Paint also welcome Mum’s who are breastfeeding. Is free. It can get a bit tight in the car park but if the field is open then this means that parking is very easy. You pay a studio fee to cover the cost of your paints and then pay for whichever items you choose to decorate. I LOVE Pots2Paint so I’m giving them 5 out of 5. I’ve always had brilliant service from the team and they have always been very helpful and have the best ideas when it comes to creating gifts for people. 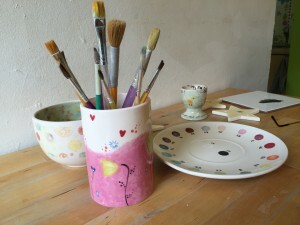 You can also find out more about Pots 2 Paint via their facebook page. Miss NHM and I were very lucky to be invited to see a performance of Father Christmas’ Christmas List at Proteus Creation Space. I publicised this in December and it booked up very quickly so we were lucky to get tickets. However, things didn’t quite go according to plan. Miss NHM isn’t particularly good with new places or people dressed up. 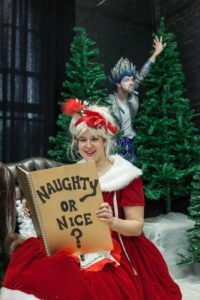 I thought she would be ok as she was really good when we had Elsa at the NHM Christmas Expo and wouldn’t leave the poor girl alone! 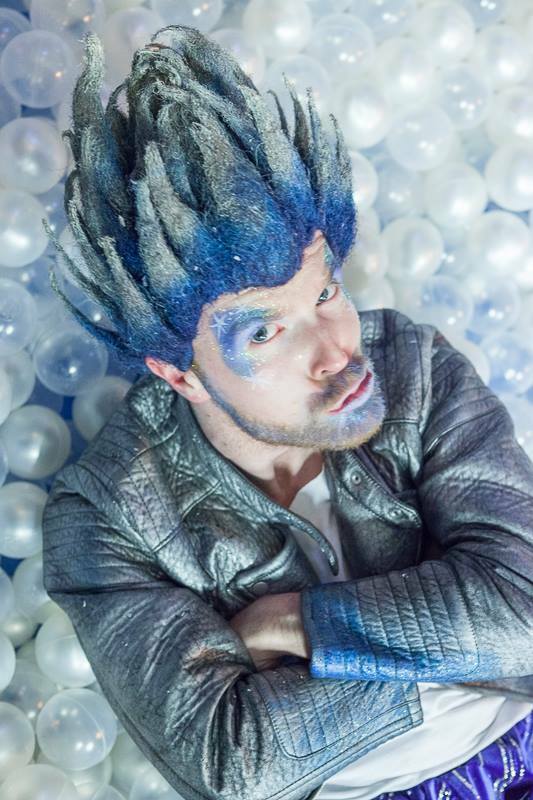 Unfortunately, as soon as Miss NHM saw Jack Frost, she froze and then started shaking and shouting “I need a poo, I need a wee”. (The smart girl has already worked out that she can hide in the toilets, so we did about 15 trips to the loo that morning, whilst I tried to convince her she would enjoy it!). The staff at Proteus Creation Space were SOO lovely about it all and very understanding and not at all phased. I felt awful. It looked brilliant and I was gutted to have missed the show. Luckily one of my friends had managed to book tickets so she very kindly agreed to do the review based on her and her little one’s experience. Thank you very much to Abi for stepping in at the last minute. Here is her review! We went to see Father Christmas’ Christmas List at the Proteus Creation Centre this week. I have to admit I wasn’t sure what to expect. I have never been to a panto and I’m not sure about all that audience participation (oh, no I’m not!) but having been to a non-panto Christmas show with my little girl in a previous year I knew she would enjoy it and figured we would all have fun. 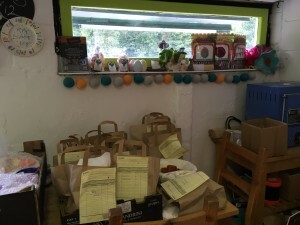 When we turned up at Fairfields I immediately worried that I had the wrong venue as there was plenty of parking still in the Creation Space car park but when we got to reception there were other families there with tinsel in their hair, looking festive, so I was immediately relieved. As we all gathered waiting for the show to start it became clear what a small audience there was for the show – only about 12 children and their assorted adults – which explained both the availability of parking and the speed at which the tickets sold out. 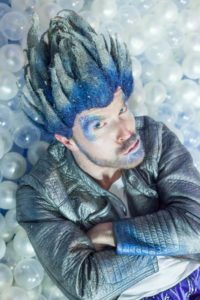 The show quite literally takes the children on a journey as instead of changing scenes as is normally done in a theatre the children are instead led through to different rooms made up as sets for the show and they are fully immersed in each one. The sets themselves were beautifully done with great attention to detail, each one having plenty of the Magic of Christmas in. .
Mary Christmas, Father Christmas’ wife, is one of the lead characters and also takes the role of narrator leading the children through the story and their first stop is her kitchen where as well as meeting several of puppets they get to help Mary Christmas make some gingerbread. 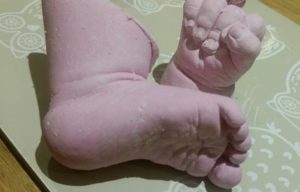 As my little ones have milk allergies I was very relieved to see that the dough they were given to roll out was in fact play dough but that didn’t stop my 9 month old trying to eat it, of course! The children gathered round little tables and with encouragement from Mary Christmas and her bear made lots of different shaped ‘cookies’. All the children seemed to enjoy this activity and it gave them a sense of belonging in the story while the rest of the plot unfolded round them. 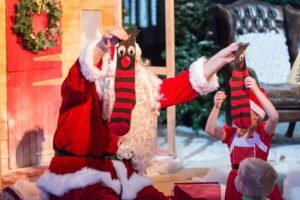 The rest of the play takes part in Father Christmas’ garden which was a delight of snow and glitter and sparkling lights and my favourite thing about the play. It even had a ball pit filled with pearly snowballs which the kids loved. My little one had to be ‘encouraged’ to stop doing flying jumps into it and pay attention to the story at one point as she got a bit over excited but no one really seemed to mind. 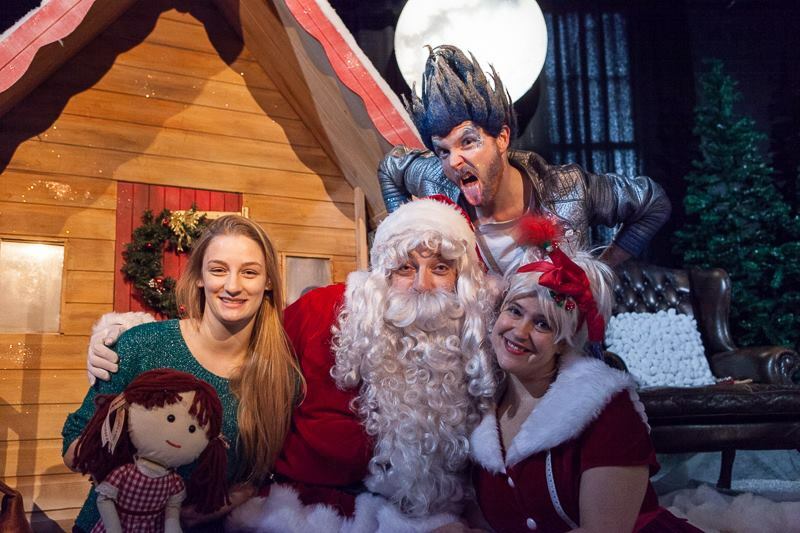 The story focuses very much on the idea of Father Christmas’ “Naughty List”. This is not something that we as a family use as part of our Christmas rituals so I am not sure that my little girl understood the horror that was implied of naughty children not getting any presents. Obviously I would have preferred it if the story hadn’t presented that idea but I accept that most people do use it. However despite the story being about a little girl who didn’t get a present despite being ‘good’ and the redemption of ‘naughty’ Jack Frost I think it would have worked without talking about Santa’s Naughty List. All the children get to take turns and go and talk to Father Christmas about the list they wrote and he got several big hugs from the kids, including my little poppet who was delighted to meet him. At the end each child is given a party bag containing little packets of play dough and a ‘magic’ gingerbread man like the ones made in the story. This is great and I’m sure all the other children were delighted to have one just like in the story but this kind of thing is my worst nightmare. Luckily I saw the gingerbread in the bag and was able to remove it before my little girl saw it as she would have been really disappointed not to be able to eat it because of her dairy allergy. The group I was with had a broad range of ages – from mine at 9 months and to older children of 7 or so – all the children seemed to enjoy it greatly. It was great for bringing a baby to as I didn’t need to worry about keeping him still and quiet and there was so much for him to look at and touch so he was very entertained. And for my little girl, well she had been very excited to go to a show and Father Christmas’ Christmas List did not disappoint. And while she was distracted from the action by the ball pool, this just added to the enjoyment from her perspective. Her reaction at the end was to be desperate not to leave and wanting to go through and do it all again. So overall I think it was a great family trip out for a very reasonable price and I will certainly be booking us tickets for one of their next shows. Don’t miss out on future posts like this – you can receive updates directly to your inbox by email by adding your email address to the box on the top right of this page and hitting subscribe. You can also follow NorthHantsMum onTwitter, Facebook Profile, LinkedIn and Feedly. I hope to see you there! Warning: These are the only photo’s that you will ever see of me on NHM :-D.
Next year is a “big” birthday for me (21 again!!!) and I would love it if my family and friends donated money for me to Sky Dive to raise funds for Sebastian’s Action Trust, instead of buying me a birthday present. I wanted to try Airkix first, to see if I could *hack* a Sky Dive. So, Mr NHM bought me an awesome birthday present, which I cashed in on Sunday. I wasn’t quite sure what to expect and was a little terrified. It was so amazing that I have booked my Sky Dive, two days after Airkix! lol. Once you have brought your Airkix ticket you need to book your slot online. During school holidays and weekends it can get very busy, so I booked at least a month in advance and then promptly forgot about it. DON’T DO THIS! Make sure you read the paperwork that gets sent to you at least a few days in advance. When you arrive, you will need to complete a “Statement of Risk” disclaimer on the computer terminals. You are supposed to complete this at home, in advance, but I completely missed this bit. (Sorry Airkix!!!) It takes a bit longer than you would think because the keyboard has clearly been used many times before. If you’ve had shoulder problems, you also need to confirm that you are ok to jump. Once everyone arrives (I was dying of embarrassment that we were late), you then get taken upstairs to a room with a video and asked to watch the 5 minute video which explains everything you need to know and remember. I was very pleased to see that I wasn’t the oldest person in the room. 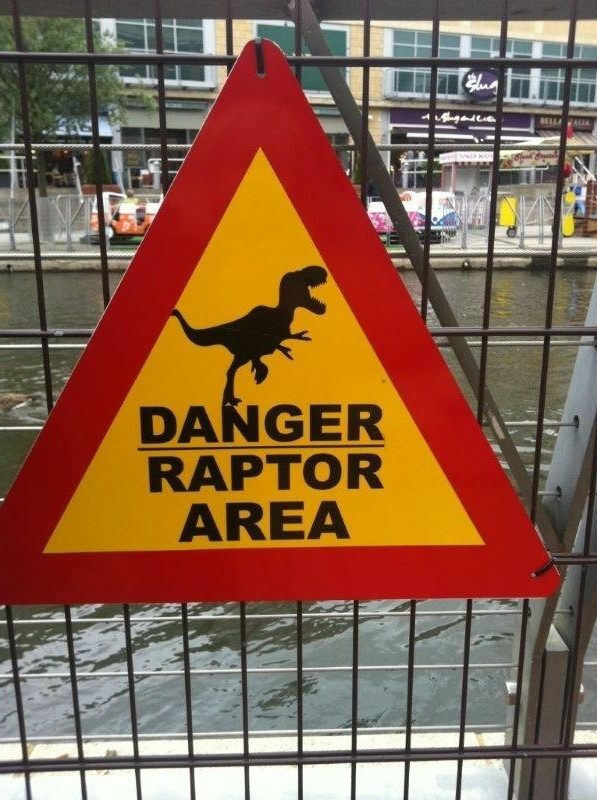 However, it was a little misleading as a few parents were sitting with their children and the parents didn’t actually jump. Sneaky!!! The video covers quite a bit and I’m sure if you are younger and not so stressed about being late, you would take in a lot more. I tried to concentrate on the hand movements that you need to watch for, as you can’t hear or talk in the wind tunnel. Luckily, I didn’t really have any time to become nervous. Once the video has finished, you then suit up. You are given a lovely jump suit and helmet, goggles and then you can also have ear plugs. I wore these as I’m partially deaf anyway, so really couldn’t hear anything! lol. Then, it’s time to go. You are taken into the ar-locked area of the wind tunnel and you sit on the bench. The other side of the wind tunnel are the spectators. I think this was the worst bit! Knowing that people were watching you!?!?!?! I was 5th in the queue. It was fab watching everyone else, but this was the point where I started to get nervous. Then, before you know it, it’s your turn…. I didn’t realise how much you needed to concentrate. I think I just expected it to “happen”. It did happen but you need to make sure you were paying attention to the hand signals. It actually takes a lot of control. I had two jumps of two minutes each. About 1.40 seconds into the first jump I had to get out. My back was KILLING ME! It’s not used to being arched in such a direction, so the instructor did two, one minute sessions next for me, rather than two minutes in one hit. This was much better. I managed to do a 360 degree turn in both directions, went sideways and up and down. It was amazing how little movement was needed to move around. In my last “jump” I was taken up and down the wind tunnel by the instructor. This was AMAZING and, despite grinning like an idiot and trying not too dribble everywhere, it was a real highlight. This is the bit that secured the Sky Dive booking for me :-D.
After everyone has done their jump and the photo’s have been taken, you then take off your gear and are given your certificates. I’m very proud of my certificate and it’s displayed next to the award I won for NHM earlier in the year. The instructor said I was a natural, which I’m sure is what helped my enjoyment, plus not having the time to get nervous in advance. When you have finished you check out downstairs and have the option to buy repeat jumps at a reduced price. Guess who knows what she’s getting for Christmas :-D.
Check your paperwork BEFORE the day of your jump. DO NOT do what I did and check it the morning of your jump, only to realise that you have to be there AT LEAST an hour before your scheduled time. We left the house in 7 minutes. This was the fastest time we have EVER left the house! lol. Breath. I didn’t realise until after my first jump that I had been holding my breath. Nearly two minutes of holding ones breath is a long time. Make sure you breath!!!! You will dribble. Not just at the “easy on the eye” Instructors ;-). You will also ache the following day. Three days on and my stomach muscles haven’t quite forgiven me. So worth it though!!!!! 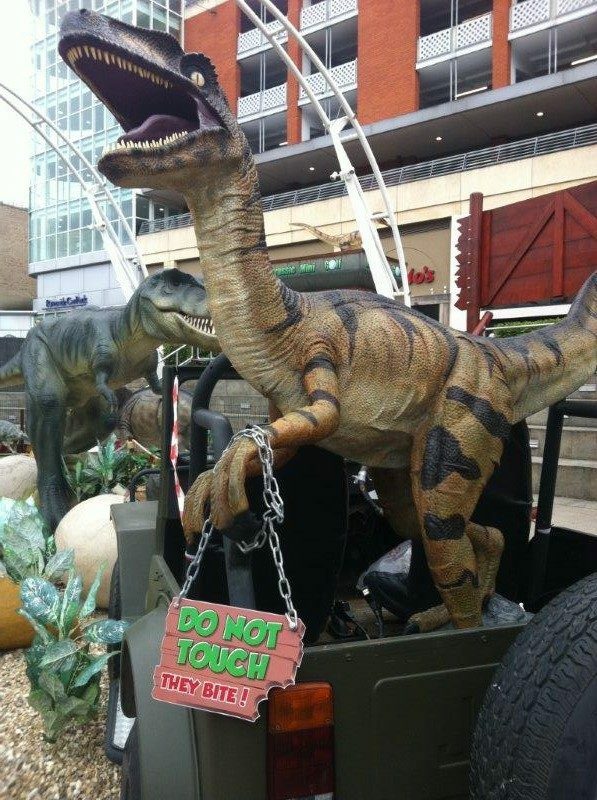 Leave your jewellery at home. It’s not recommended to wear it in the wind tunnel. Non-participating children cannot be left alone, so make sure you bring someone along with you to watch them. If you have long hair, tie your hair back as you don’t want it whipping around you in the wind tunnel. Are excellent as it’s a very new facility. 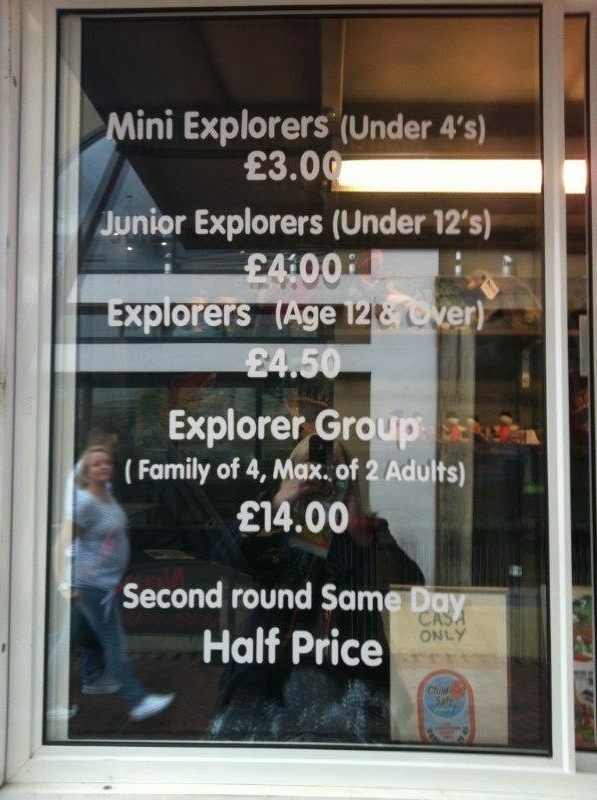 To be fair though, we didn’t do much exploring. Did I mention we were late? &lt;blush&gt;. Not really sure, I was too excited to check these out. Are actually very reasonable for what you get. There are also a few special offers that you can book on the day, for your next Airkix flight, which I may or may not have booked on the day because I loved it so much :-D.
Thank you very much to this week’s secret reviewer! Great review! The Oracle, Riverside performance area (near Pizza Hut), Reading, RG1 2AG. 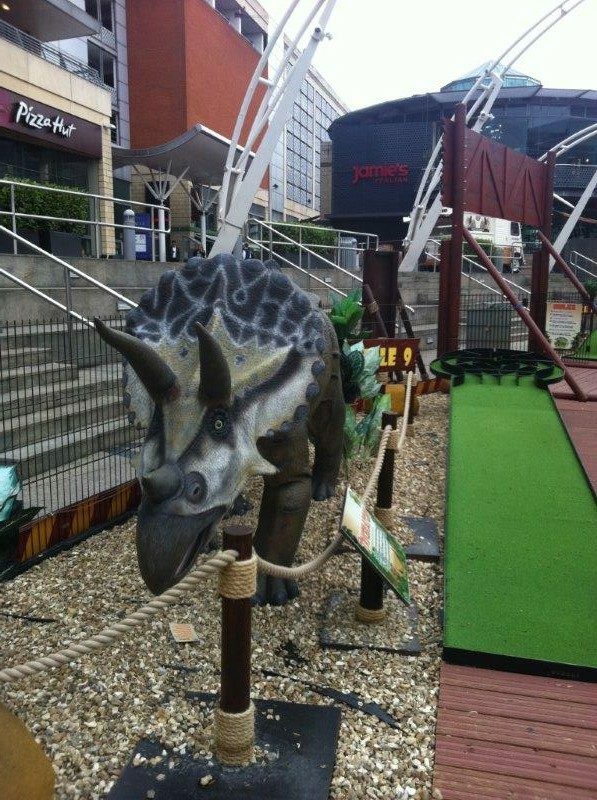 At the Oracle Shopping Centre in Reading they currently have “Jurassic Golf”. It’s Dinosaur Crazy Golf for girls and boys. It is by no means an afternoon or day out but it’s a novelty that keep my monkey entertained with something different for around half an hour. We went on a Friday morning and had the circuit to ourselves. 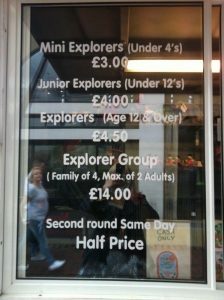 I only had to pay entry for those wishing to play so we only paid £3 which is the price for under 4’s. We paid our fee at the Kiosk, collected our golf ball and golf club and then made our way to the Riverside. If you don’t have a buggy you can go straight down the steps. We had a buggy so we walked along the riverside and behind Jamie’s Italian we accessed a walkway which slopped down and around to the riverside. 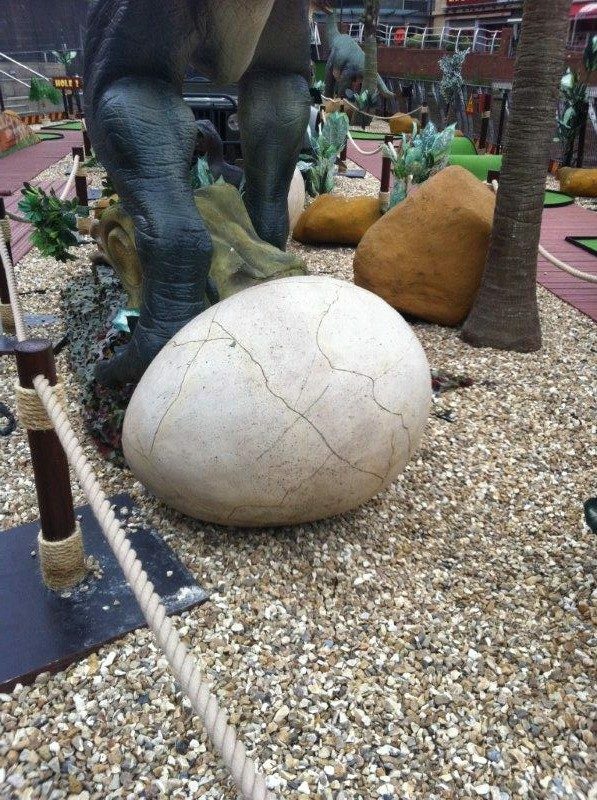 The plastic dinosaurs in the enclosure are fairly well done and have signs that identify which dinosaur they are along with facts and figures. There are 9 holes on the circuit, the monkey and I attempted a few. 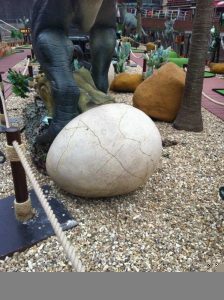 Some of the holes were a bit too advanced for a 3 year old and non-golfer put together but we did have fun on the ones we did try! For those who like competition there is a high score board. 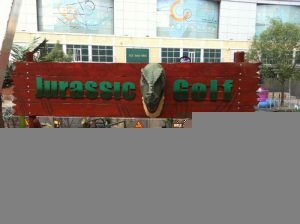 There is a large T-Rex in the middle of the circuit which moves and roars every 15 minutes. My monkey wasn’t a fan but nothing a Mummy cuddle didn’t resolve. 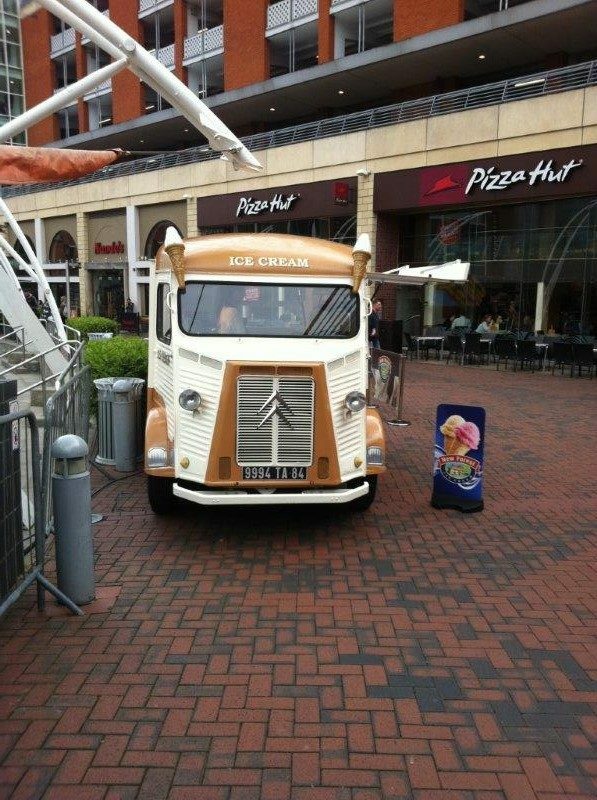 After our round of golf we came across a vintage Citroen van that had been converted into a ice cream van and was selling whippy New Forest ice cream. The van was clean, ice cream was yummy and the seating area was clean and tidy. Opens 11am week days and 10am at the weekend. Open from now until 30th September 2014. Available inside the mall toilets. £1 off your 2nd visit, voucher is in the leaflet available at the kiosk. Our secret reviewer gave this 5 out of 5.